EVEN WHEN RAIN IS FALLING AND THE SKY IS MULTIPLE SHADES OF GRAY, the view from inside to outside is full of color. So one last post to showcase April’s floral bounty. 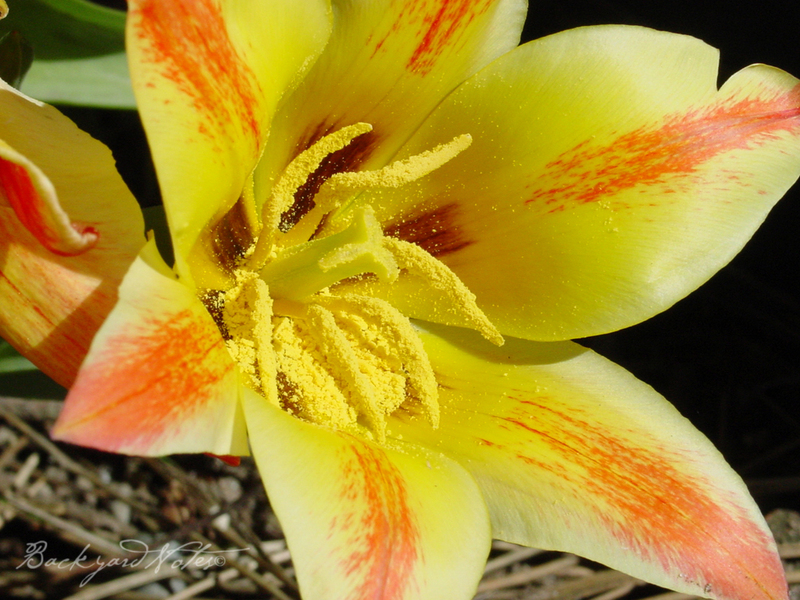 Tulip clusiana Cynthia, bright and sunny sunny. 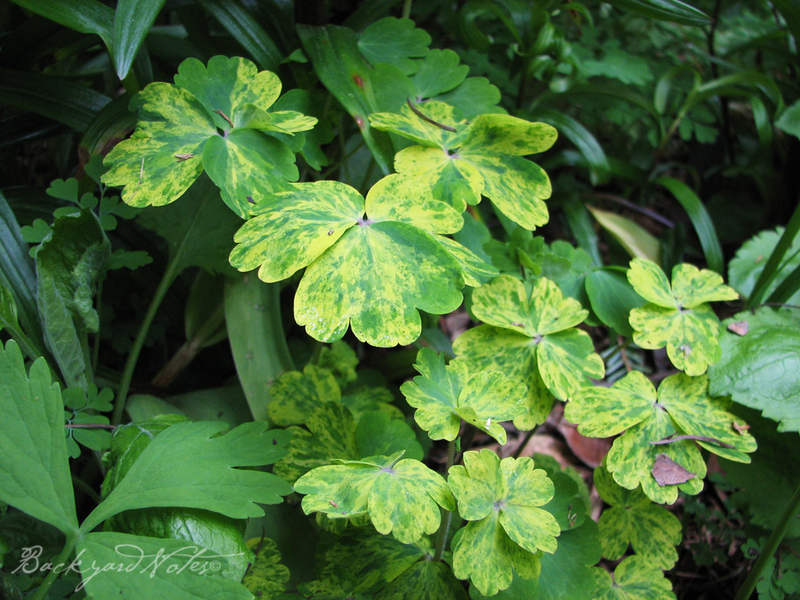 Aquilegia vulgaris ‘Leprechaun Gold’ has beautiful foliage and unremarkable dark blue flowers. 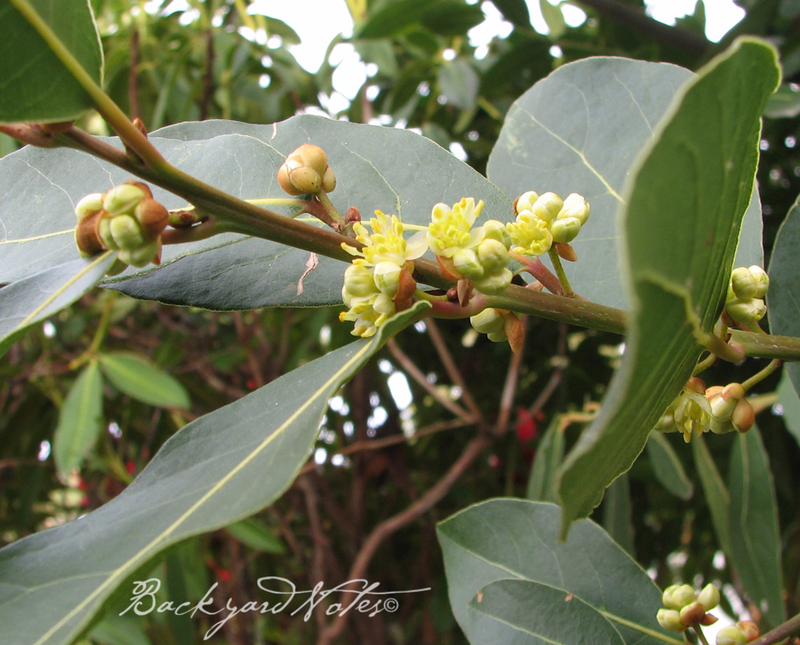 Sweet and tiny flowers of my bay tree, laurus nobilis. 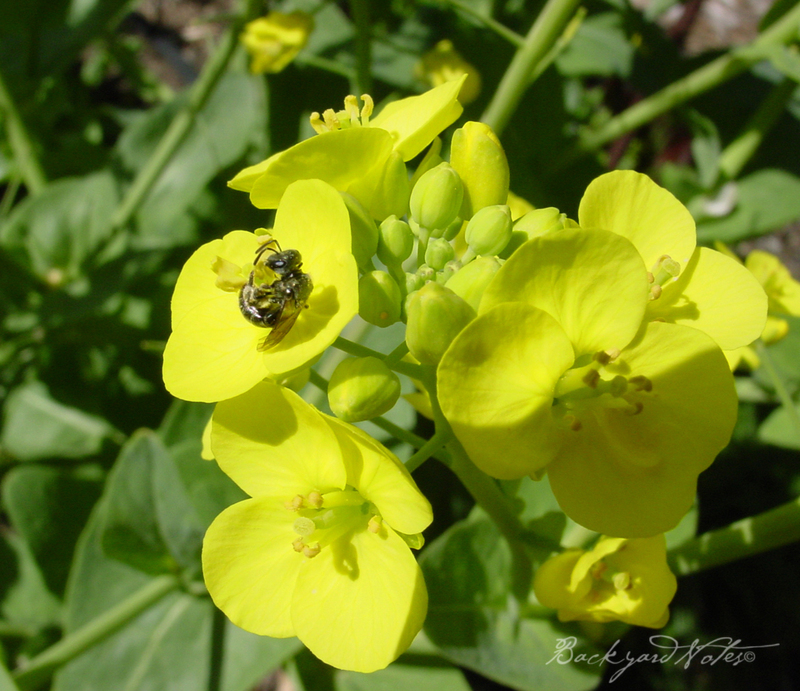 The sweet smelling flowers from the bolted brussels sprouts attract all types of bees and bee-like flies. 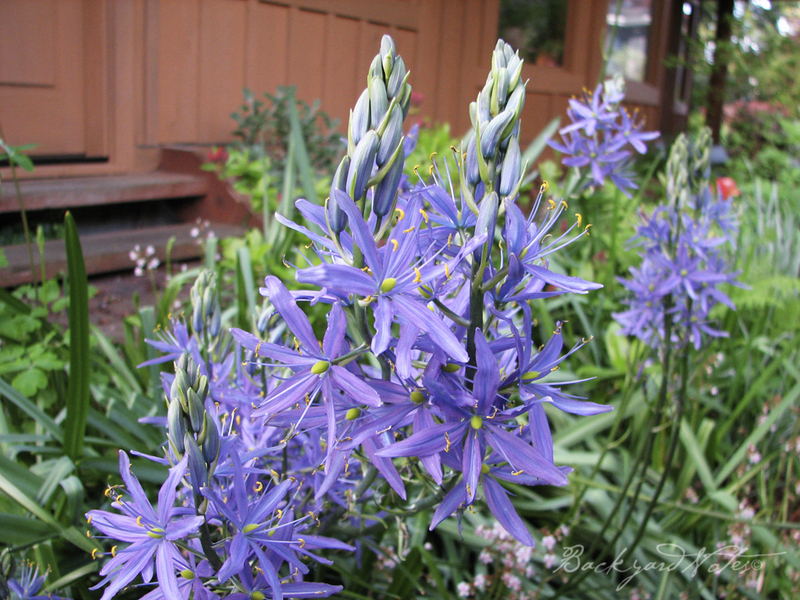 This beautiful, blue camassia leichtlinii is native to Oregon, and quamash is native to most of the west and British Columbia and Alberta. These were planted in 1997. They stand about 3ft tall. 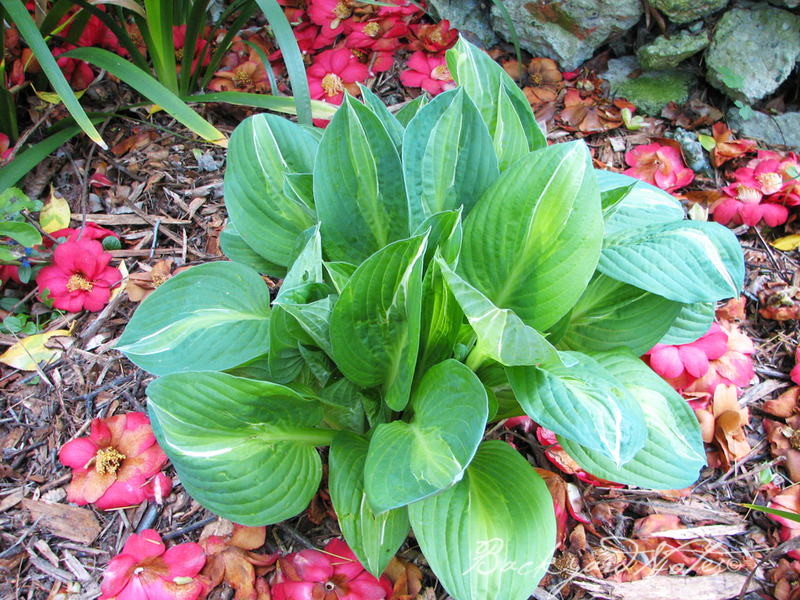 The white variety blooms in May. 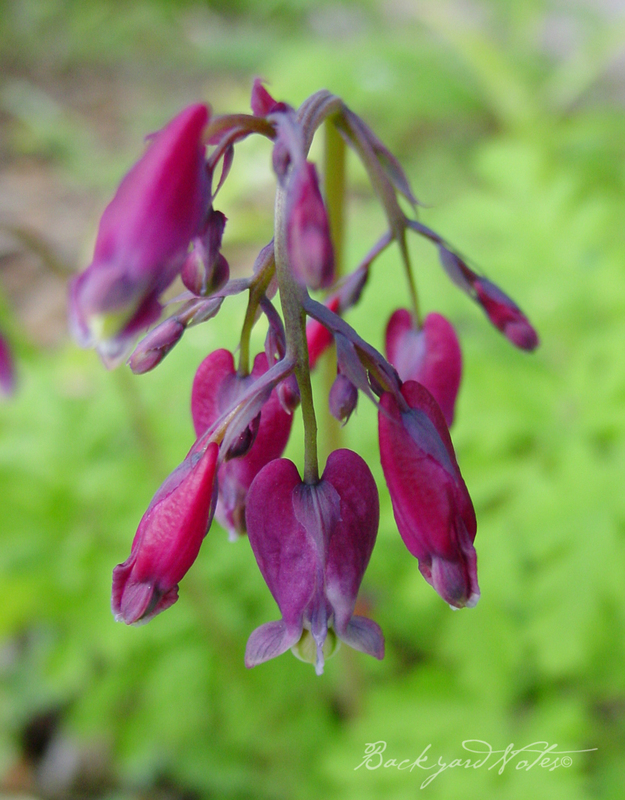 The Pacific Bleeding Heart dicentra formosa is native to Pacific coast states and British Columbia. 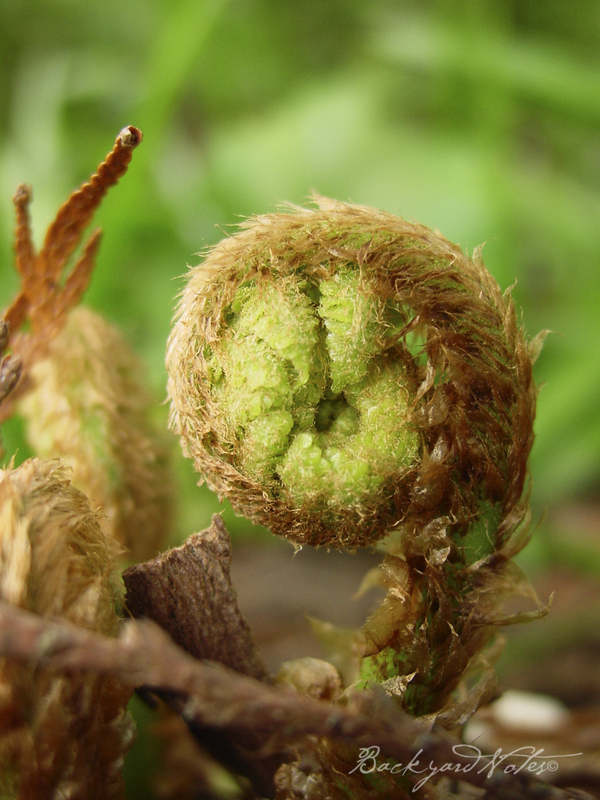 What is more perfect in nature than circular form of an unfurling fern frond? 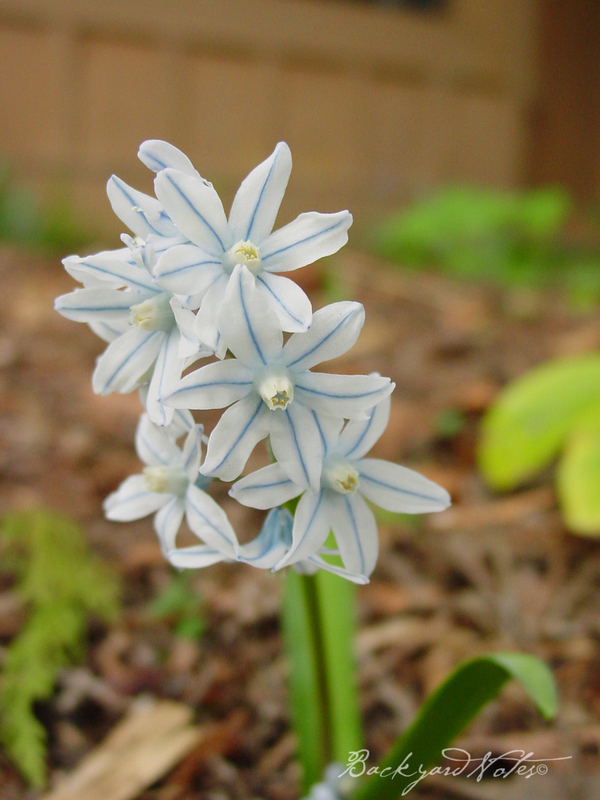 A superbly delicate blush of blue is the highlight of the Striped Squill, pushkinia libanotica. This is ‘Salmon Jewel’. I think it has some form of mosaic disease that is causing the wild color variations; it quite lovely but it should look like the ones below. These were planted about ten years ago. 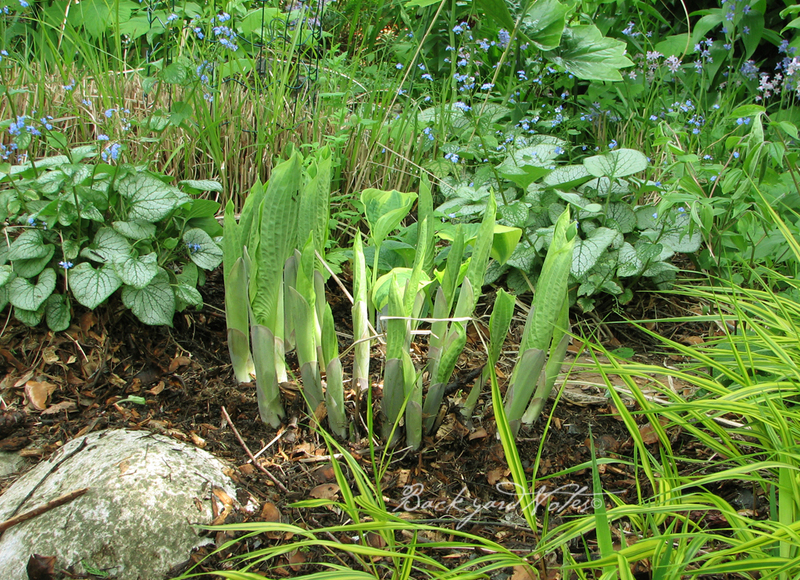 I am amazed that they have survived in the mass of roots from the red cedars. 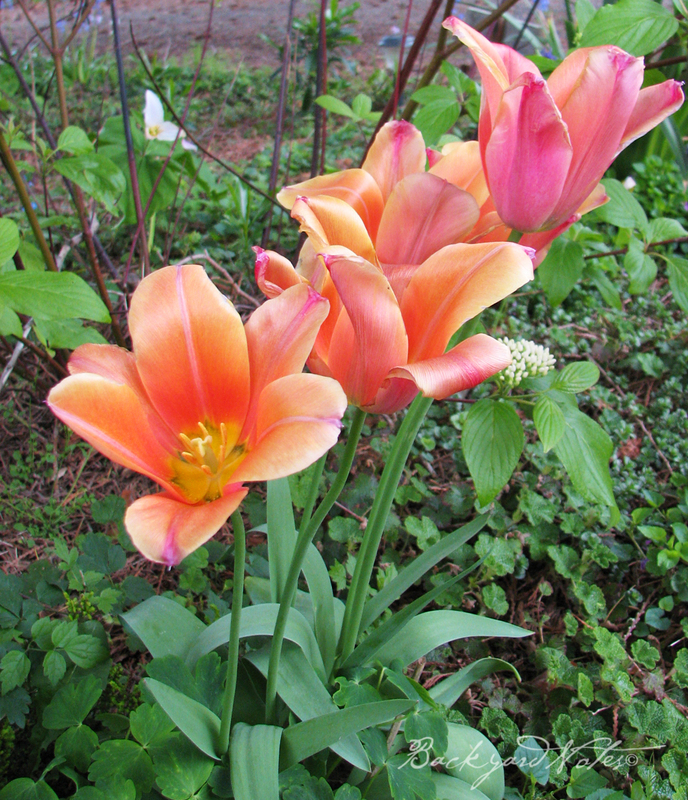 This lovely tulip is Professor Monserri, planted in 2008. 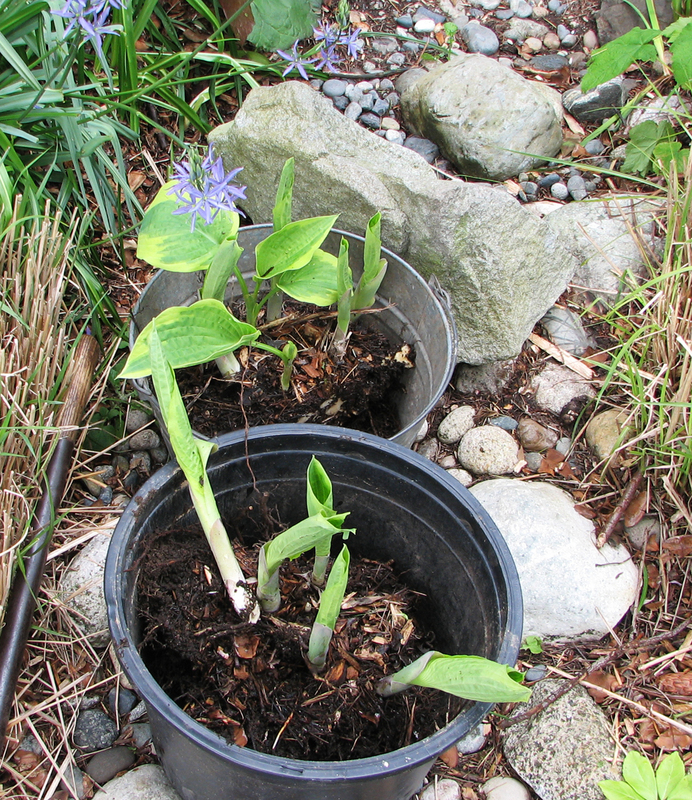 When my friend and former neighbor Sarah lived in West Seattle, she gave forced bulbs as gifts at Christmas. 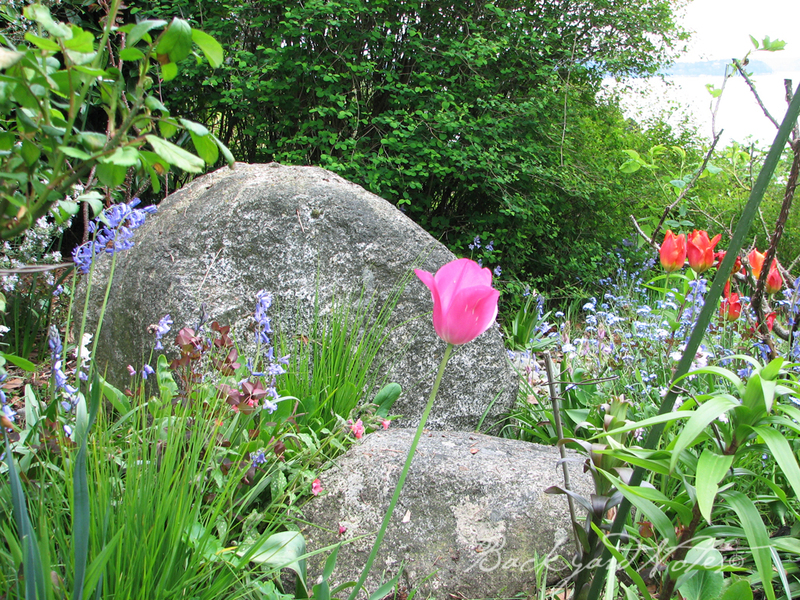 Mostly paper whites and tulips. 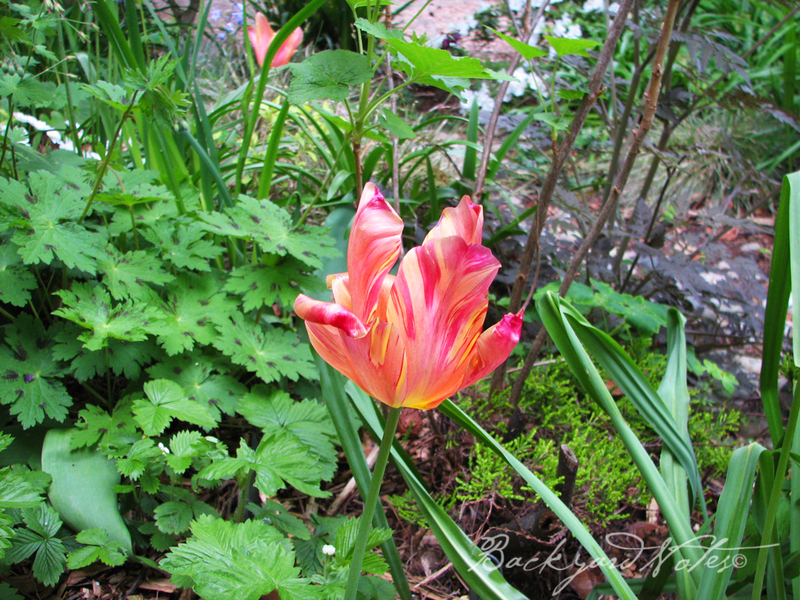 This one, lonely tulip was in one of the mixes. 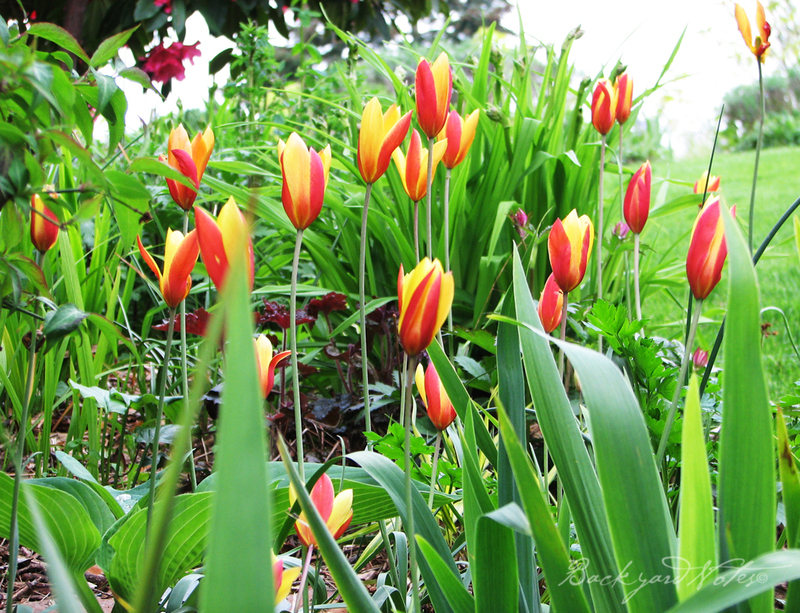 I planted the bulbs in the ground and now every year when it comes up I am reminded of her and her friendship and that is part of what makes having a garden enjoyable. The hosta below came from Deb’s via Grandma T’s. I have no idea what cultivar it is, but certainly striking and it has large leaves like the sieboldiana types. 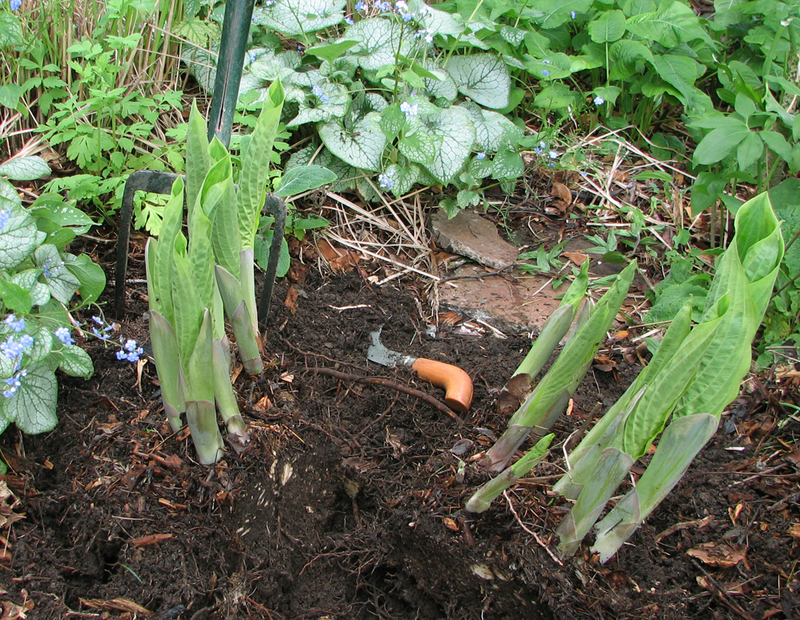 I also promised a piece of hosta ‘Frances Williams’ to Deb and divided it last week. I planted it in 1997 so it was high time to divide! I was able to get five divisions from it. This is one of my favorites and it is very large. One division stayed in the original spot, one went to my neighbor, one each to my sisters and the fifth one went along the driveway under the lilacs and white snowball viburnum. 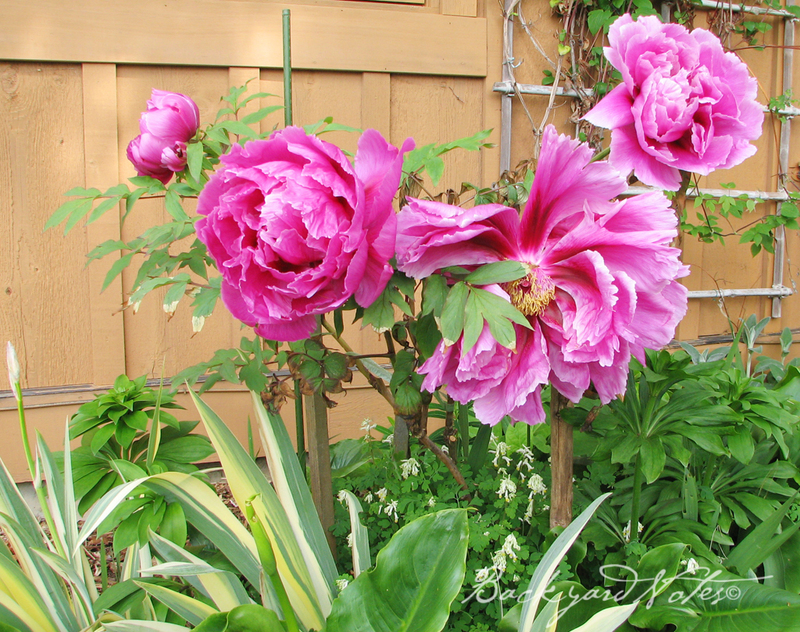 And last, the lavish blooms of Grandma T’s tree peony with four blooms this year–a record here.